Vacations and getaways can start to add up quickly. Whether you’ve got a tight budget or no budget at all, this list is for you. Spend a day at Lincoln State Park. Inside you can hang out on the beach and go for a swim in Lake Lincoln, hike through the 10 miles of trails, picnic at covered shelter houses, or rent paddle boats or canoes for a small fee. You’ll also find the Lincoln Bicentennial Plaza and a Nature Center at the park. Indiana residents can enter for the day for $7 per vehicle, and out of state residents can enter for the day for $9 per vehicle. The Santa Claus Museum & Village is a free attraction where the little ones can write a letter to Santa (they’ll be thrilled when they get a reply in December!) and the whole family will enjoy browsing the museum. 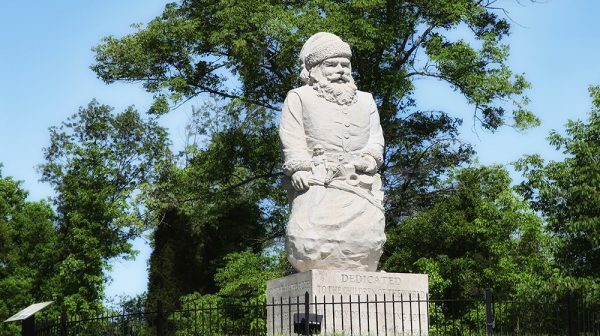 You’ll also find a 22-foot-tall Santa statue built in 1935 here. Take a #santaselfie and tag Santa Claus, Indiana, on Facebook and Instagram! All of the activities at the Santa Claus Village & Museum are totally free, but you are always welcome to give monetary donations. Open seasonally from May through December. It doesn’t get any better than sipping on local wine in the beautiful countryside. 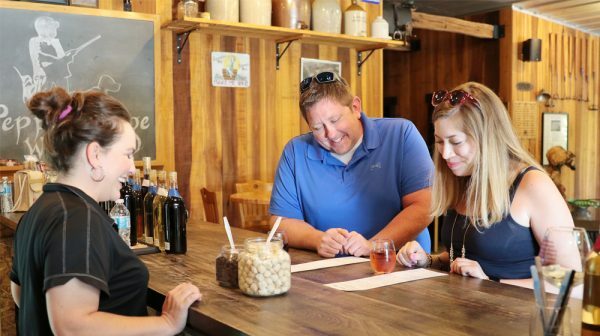 Pepper’s Ridge Winery and Monkey Hollow Winery and Distillery offer complimentary wine samples, and you can even pack your own picnic lunch to enjoy on the patio at either location. Santa’s Candy Castle is free to tour and browse nostalgic candies, and they even have a wall full of inexpensive stocking stuffers! It’s never too early to start collecting items for Christmas. Open seasonally from May through December. This one is a little bit of a stretch if you’re planning for a family, BUT it’s still a great deal! 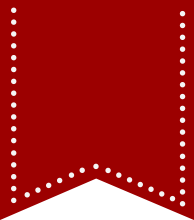 Every ticket to the Holiday Drive-In includes a double feature. That’s right two movies for the price of one, and you’re allowed to bring your own treats! Tickets are $10 for adults and $5 for children 4-11 years old. This attraction opens in April. 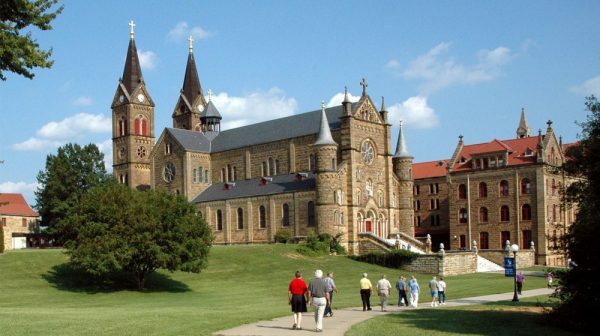 Explore the grounds of Saint Meinrad Archabbey. It’s beautiful and rare. There are only two in the United States, and 11 in the world! Guests are welcome to attend Mass and Liturgy of the Hours in the Archabbey Chruch. You’ll also want to browse Saint Meinrad Archabbey Gift Shop for food, gifts, and art handcrafted at Saint Meinrad and other monasteries. Not all kids get a pony, but they can ride one! 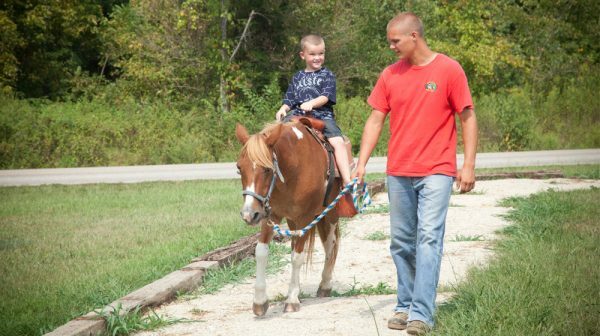 Pony rides with Foxy at Santa’s Stables are only $5. This attraction opens in April. 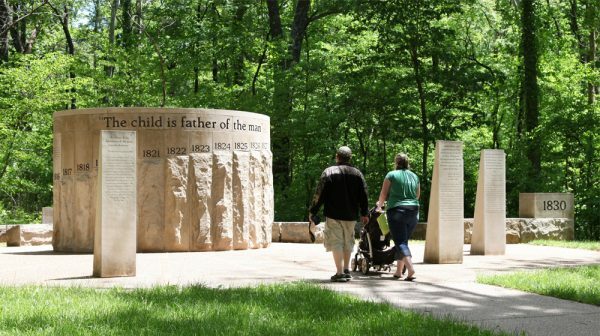 Include these activities in your trip to Santa Claus, Indiana, and sites throughout Lincoln’s Indiana Boyhood Home to save your family bundles! And let’s not forget all the priceless memories you’ll make while exploring! You can find other coupons and savings here. Our trip planner is another awesome tool in preparing for your trip. If you’re unfamiliar with the trip planner, here’s a tutorial. This blog post has been updated from July 2018.